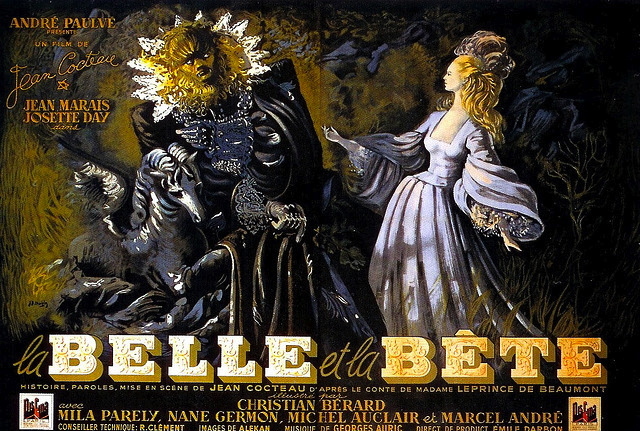 We need look no further than the director’s account for insights into how La Belle et la Bête was brought to the screen. Cocteau’s Diary of a film was published in 1950, in a translation by Ronald Duncan. It’s far from what we might expect today, when ‘the making of’ generally amounts to a puff-piece tacked onto a dvd as a promotional exercise. 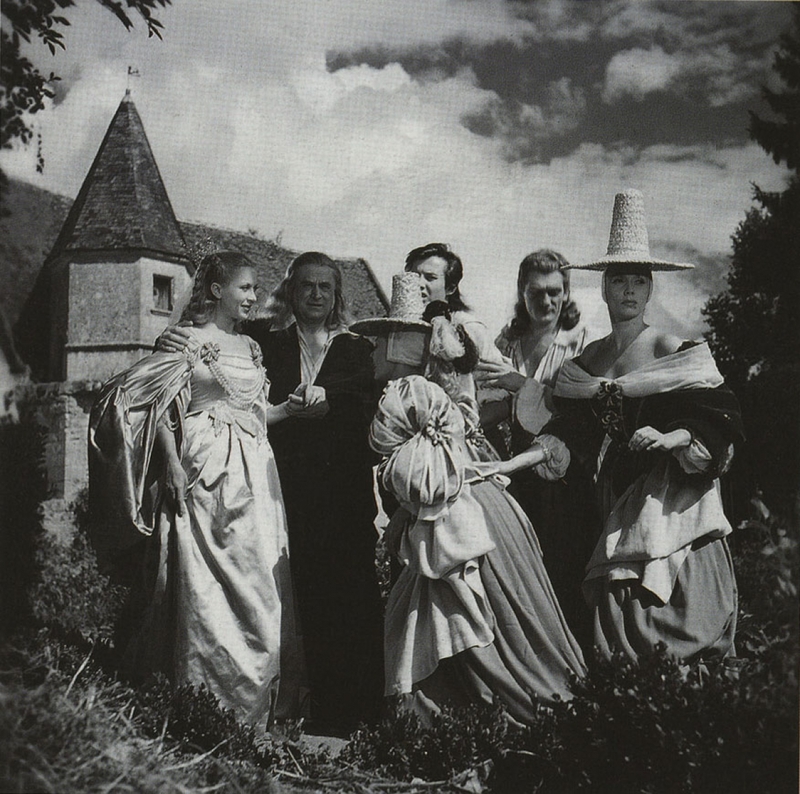 Above: the cast on location at Moulin de Touvois á Rochecorbon in Touraine, the small ‘manor’ that Cocteau chose for the exteriors of Beauty’s home. From left to right, Josette Day, Marcel André, Nane Germon, Michel Auclair, Jean Marais and Mila Parely. Cocteau’s diary is an evocative, no-holds-barred account of the sometimes agonising process of dragging his vision into the world. He praises his actors, though complains bitterly when any of the production team let him down. The makeup man particularly draws his wrath, though he’s critical of his cameraman too. The technicians and electricians, by contrast, win his praise, and one senses that Cocteau admired the craftsmanship of those who carried out rough work with skill and speed. The tone in the diary is frequently one of self-pity, and Cocteau dwells at interminable length on his various illnesses, which in all fairness appear to have been legion during the shooting schedule. (His disorders include chronic eczema, jaundice, gum disease and a carbuncle on his neck.) Given the time he spent in clinics and hospitals, it’s a wonder the film was completed at all. Nor was he alone in having health problems. Jean Marais too suffered from a particularly nasty carbuncle on his inner thigh, which impeded his work and needed lancing and subsequent bed-rest. Mila Parely, who was playing Beauty’s sister Félicie, fell from Aramis, the horse that both Beauty and Avenant ride in the film. The accident hospitalised her and thereafter left the actress in discomfort for much of her shooting. In the aftermath of the war, making any film in what had until recently been an occupied country was always going to be fraught with difficulties, let alone a period film requiring hard-to-find resources of textiles for the luxurious costumes. Film stock was hard to come by and of variable quality. The laboratory scratched the negatives, compromising hard-won footage while denying any culpability. Not enough bed-linen could be found for the scenes of the laundry being hung out to dry at Rochecorbon. Bad weather hampered the location work, or made shots difficult to match. 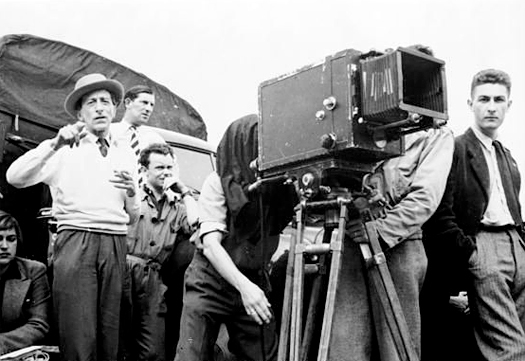 Nevertheless the key members of the production team were inventive and resourceful, and as a director Cocteau was at his most creative when having to improvise with limited means. Even by todays standards, the film looks ravishing. 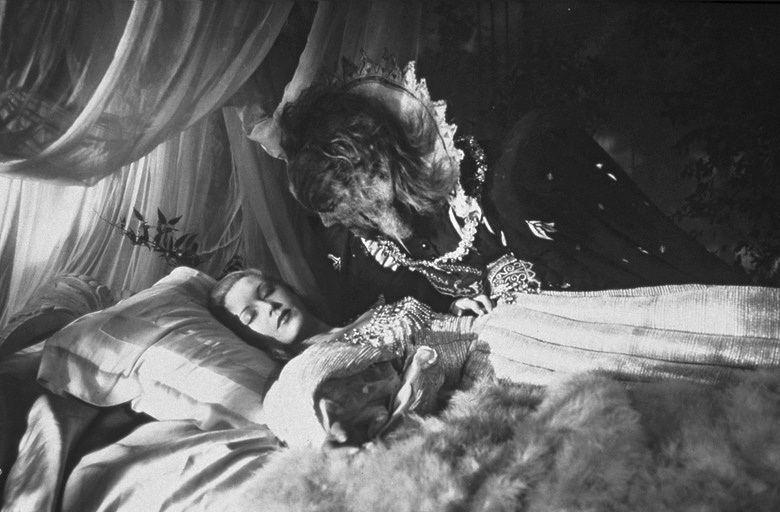 To close this three-part post on La Belle et la Bête, here are some extracts from Cocteau’s diary. Above: the vain sisters Félicie and Adélaide, elaborately costumed by Bérard. Cocteau was particularly pleased with Mila Parely’s ornately dressed wig. Below: Nane Germon as Adélaide, more soberly attired. “I’ve never seen a set either in the theatre or in films to appeal as much to me as this one of Beauty’s room where I am working now. The studio hands like it too. Even the waitresses from the restaurant come and see it and are thrilled to pieces. Above: Apotheosis. Beauty and her Beast-transformed-into-a-Prince, ascend like Olympian consorts on billowing clouds. “Decided to quit as soon as the film was finished. And it was yesterday I showed it for the first time to the studio technicians at Joinville. Its announcement, written on a blackboard, caused quite a stir at Saint-Maurice. They had filled up quite a theatre with benches and chairs. Lacombe had even postponed his shooting so that his unit and artists could attend. At 6.30 Marlene Dietrich was seated beside me. I tried to say a few words, but the accumulation of all those minutes which had led to this one moment quite paralysed me and I was almost incapable of speech. I sat watching the film, holding Marlene’s hand, crushing it without noticing what I was doing. The film unwound and sparkled like a far-off star – something apart and insensible to me. For it had killed me. It now rejected me and lived its own life. And the only thing I could see in it were the memories of the suffering which were attached to every foot. I couldn’t believe the others would even be able to follow its story. I felt they too would become involved in these activities of my imagination. This entry was posted in Looking at Art and tagged Christian Bérard, Jean Cocteau, Jean Marais, Josette Day, La Belle et la Bête, Mila Parely by Clive Hicks-Jenkins. Bookmark the permalink. The black studio was, according to Cocteau in “Diary of a Film,” nothing more than a vast, unheated barn which three separate productions had to share. The street noise and other productions necessitated them to film at night. If you watch the film where Beauty is moving through the castle in her Castillo designed negligee (Cocteau credits him solely for this costume (p 39 of Diary of a Film), with the other costume designs by Berard and executed at Paquin with a collaboration of Marcel Escoffier (theatrical and film credited costume designer), and when the Beast is finally transformed into the Prince, realize the temperature (it was winter) was hovering between 22 and 26 degrees Fahreneit. You can see Marais’ breath in the final sequences as he talks with Belle before carrying her off. The actors stood near the arc lights between scenes to try to keep warm. 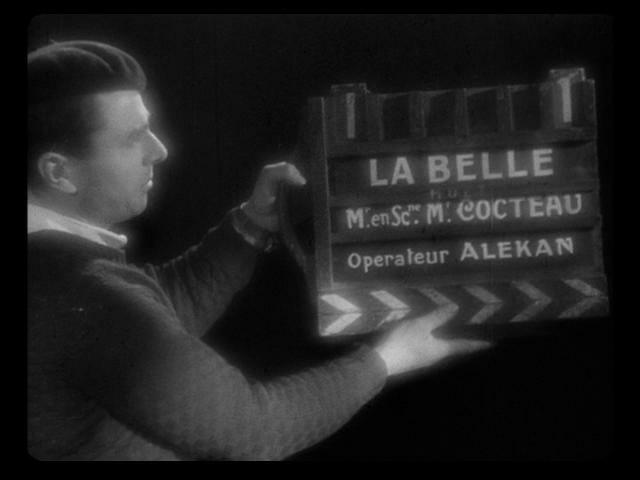 Curiously, Berard is listed in the credits of the film as “Illustre Par Christian Berard.” This is as a result of his not being in any film union. Cocteau indicates this on page 20 of Diary of a Film. Berard had previously done stage work (costumes and sets) primarily. Castillo, head designer at Paquin at the time, likely insisted both the House of Paquin, and himself, to be listed in the credits as a condition of using their facilities. With the scarcity of fabric at the end of the Nazi occupation, and the fact that without the aid of Paquin, there would have been no film would be made (putting union members Marcel Escoffier, Lucien Carre, and Rene Moulert, along with all the union technicians, actors, etc, out of work), the union likely allowed him to be listed under “Costumes by Marcel Escoffier and Antonio Castillo.” Castillo went on to costume several other film productions after leaving Paquin’s. 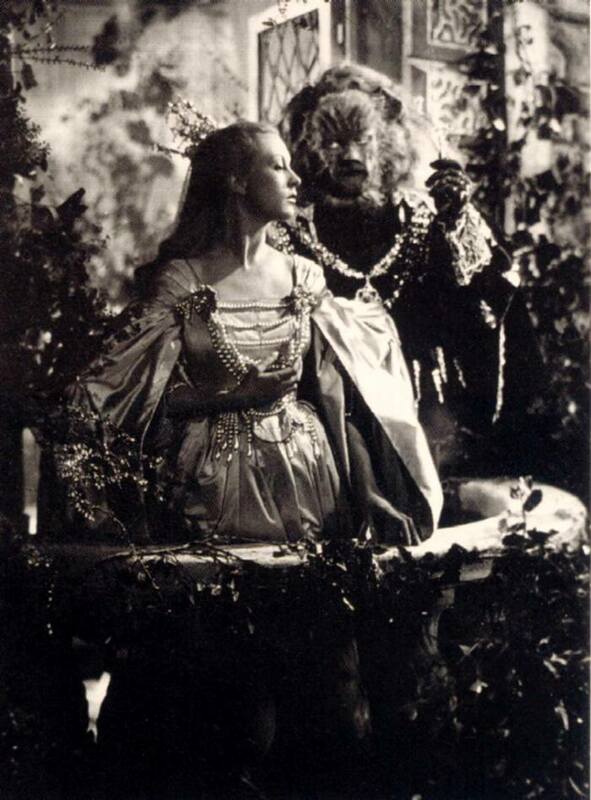 It’s an interesting that, following the death of Jean Marais (the last surviving cast member) in the late 1990’s, Pierre Cardin, who had been a tailor at Paquin’s at the time the costumes were made, began to claim he had “designed costumes and masks for” La Belle et la Bete. His biographer, Richard Morais, called him out on it. Cardin may have tailored some of the costumes, certainly, but did not design them, as evidenced by there being no mention whatsoever in Diary of a Film by Cocteau of Cardin at all, plus the signed production sketch and other sketches by Christian Berard. 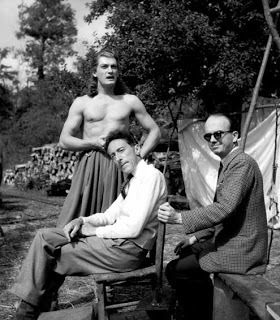 In addition, in every interview regarding the film, Jean Cocteau credits Berard. Also, Jean Marais, in his autobiography, “Histoires de ma Vie” credits a theatrical wig maker named Pontet with the beast mask (there were actually two sets made of the 3 piece appliance). 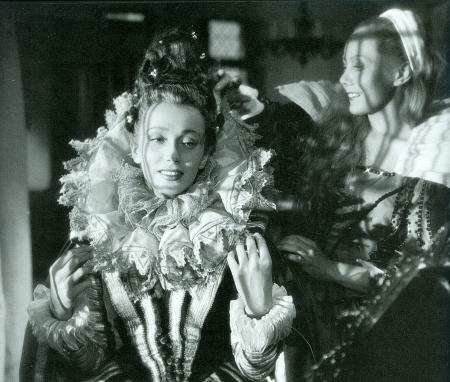 Your caption, “Beauty, played by Josette Day, attends her sister Adélaide, played by Mila Parely” is incorrect.Mila Parely portrayed the taller sister, Felecie. 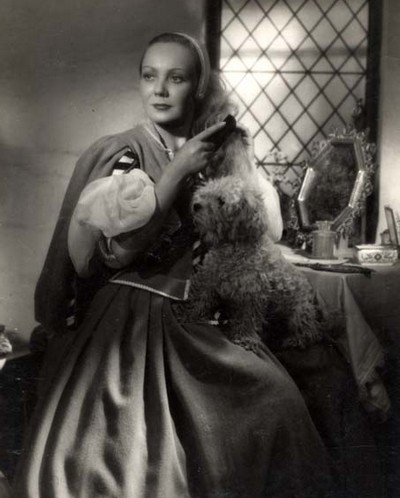 Nane Germon portrayed Adelaide, the “little sister.” Other than that minor correction, you have one of the best blogs on “La Belle et la Bete” that I’ve seen on the web. Congratulations. And yes, I AM gathering materials to write a book on “La Belle et la Bete!” Did you know, for instance, that, concurrent with the filming of “La Belle et la Bete,” Christian Berard, who had done sketches and design drawings for most of the couture industry, and was published consistently in Vogue and Harper’s Bazaar from 1935-1949 (when he died), was also named artistic director of “Theatre de la Mode” ??? He had to leave the B&B Production for a time to help set up the London premiere of “Theatre de la Mode,” after it’s overwhelming support in Paris. The couture industry was in shambles, down about half of what it was before the war. They were hanging on, but just barely. After the liberation of Paris, they held an emergency meeting, and decided, in lieu of a full-blown and totally unaffordable fashion tour with models, etc, to let the world know they’d survived by doing a fashion season in miniature, to which the public would pay an admission fee. They appointed Berard as Artistic Director. In its run in 1945 and 1946, the worldwide tours garnered enough in revenue to keep the industry’s thousands of employees going, aided the population at large with emergency funding, and showed off five designs from each designer to the world in unique settings. 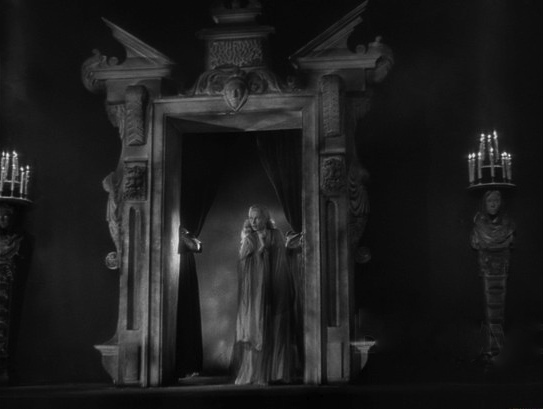 The sets were designed by Berard and Cocteau, among many other notables, and who better than Berard to have headed this up. He knew all the fashion designers, theatrical set designers, and technicians, the milliners, the shoe designers, the jewelers. Vogue and Harper’s Bazaar helped to publicize it. He got all these different entities to work together. In the 1960’s, the 1946 tour mannequins and their couture gowns, were discovered in the basement of a French department store in San Francisco. The sets were re-created from photos, and the nine groupings of mannequins and their couture are housed at the Maryhill Museum in Washington State. Three sets are exhibited per year, and are rotated, with the remainder available for display at museums throughout the world. You can see it on their website. Just Google “Theatre de la Mode +Maryhill Museum” and you’ll find it. My goodness, you are a fount of information. Thank you so much for sharing such a rich resource of knowledge here. It’s much appreciated. You’re correct about the incorrect caption, though in my defence I was using the cast list from the English translation by Ronald Duncan of Cocteau’s Diary of a Film, which lists Parely as Adélaide and Germon as Félicie. (My copy listed as Copyright 1950, by Roy Publishers, A.N., New York.) I’ve now corrected the post. I make no claims to being a film or even a costume historian, though I am passionate about both. In a long career in the theatre before I became a painter, I was – in chronological order – first a chorerographer, later a stage director and choreographer, and latterly, a stage designer too. I concur with your observations about the Beast’s costume. I’ve just revisited the scene in the hall, and the jacket doesn’t look at all like velvet. The three posts were intended as a tribute to a film I love, so it’s good to read that you think I made a reasonable fist of it. 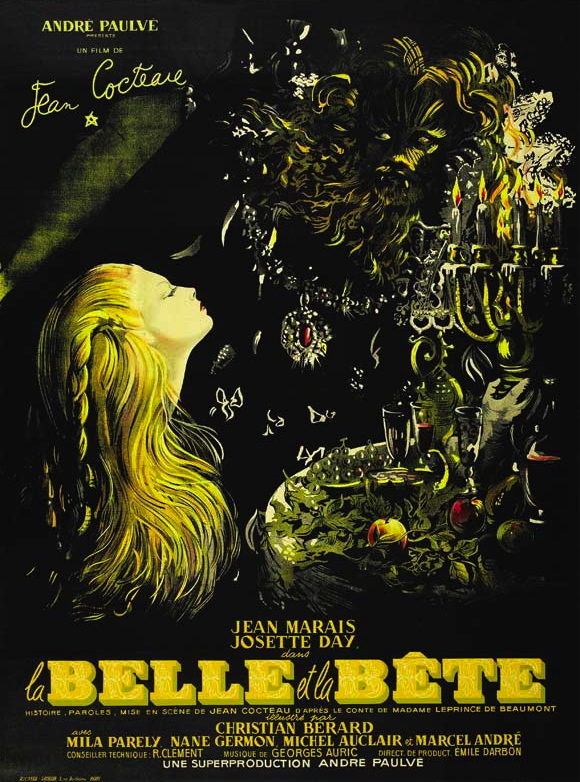 I’ve always said that if there were to be a single film placed in my coffin to keep me happy, then it would have to be La Belle et la Bête. I saw it first when I was fourteen, and I emerged from the gloom of the cinema changed by the experience. It’s the formative cinematic experience of my life, engraved on my heart. I plan no book – at least not one about the making of the film, and so the field is yours. I await what you produce with anticipation. I’ll certainly be watching for it. Good Morning, Well presented review of a more than beautifully crafted film by Cocteau and his crew, a set piece that reminded me of illuminated manuscripts pages. That is as if Cocteau tore a page from a period work in a manuscript. Perhaps I saw the film as a look into a very complex mind of man who looked backward in time and designed a setting, scenes, costumes, lighting, camera technique, so much more of a unusual artist. I read the book of Cocteau’s diary he seemed wrapped up in his love of Marais and the world of film. Have you watched the film of Werner Fassbinder? The Fox? 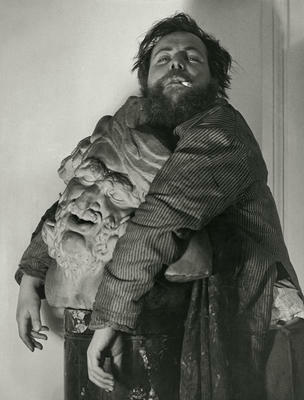 A book or two on his life and particularly his childhood – parents – tended to create a child with ability to draw a work of art through cinema. His end of course was upsetting, could he not live with his choice of work and love? Where in the course of his life did he become disillusioned as if haunted by some ghosts that constantly plagued him? In some ways Cocteau and Fassbinder were similar in art different presentation and effects – periods – characters drawn into a story on film – extraordinary men. 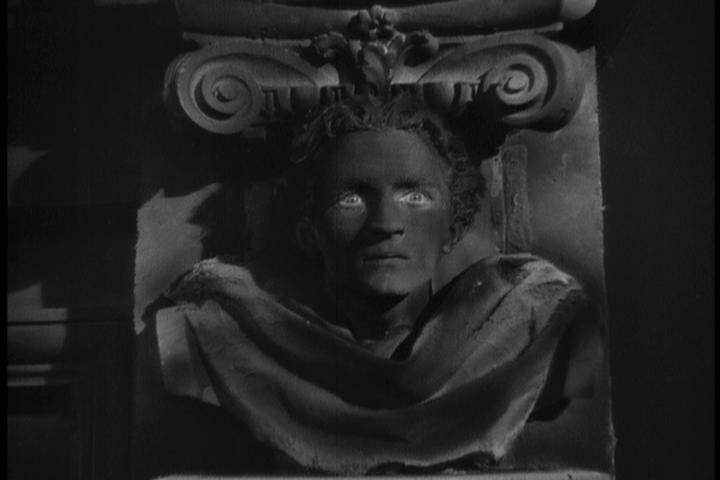 The work produced in film by Cocteau and Fassbinder amazed me. So many years ago and now looking at the review of yours on Jean Cocteau’s Beauty and the Beast, I agree with your view of the Disney film and quite dislike the trailers offered, and the movie too technical and expensive. The director and producer of the film by the Disney Corporation made a big mistake in selecting Luke Evans as Gaston, Evans stole the film from the actor playing the Beast. Luke Evans is a future actor who will get more parts I hope, since he is one artist actor who views his work beyond the money or the work, he becomes his character, understands how to offer the most elegant side of the persona. God morning, Annette. Many thanks for your kind words about my celebration of this masterwork. You’ve raised so many issues that I’d like to respond to, and I shall, But it cannot be today as I’m against a deadline and must work non-stop to meet it. I will return later to discuss further. I like the connection you’ve made to Fassbinder. Thank you Jacqui. This has been a bit of a marathon of research and compilation, but I wanted to express my appreciation for a film that helped shape my creative life. All these people are as familiar to me as long-time friends, and this seemed the very least I could do to thank them for what they made.